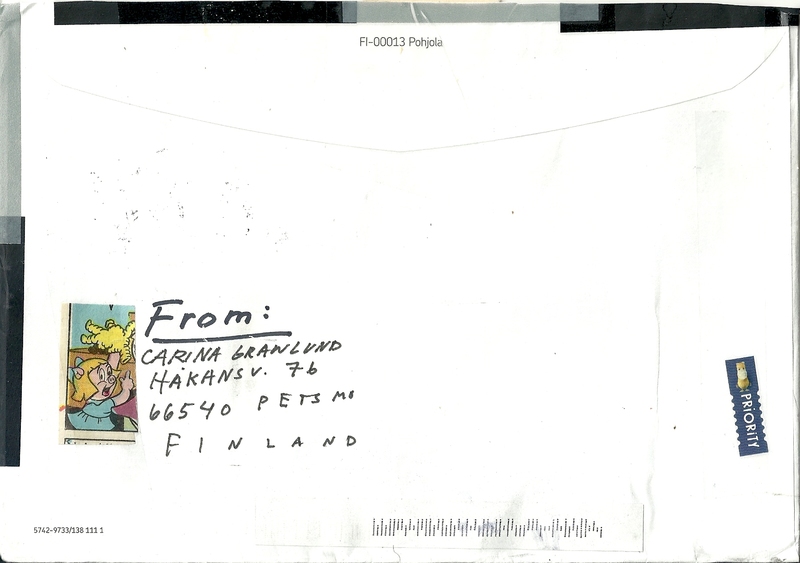 September 27, 2015 - Carina Granlund sent me a mail art package with a Post-Pop theme, including the fantastic piece above. 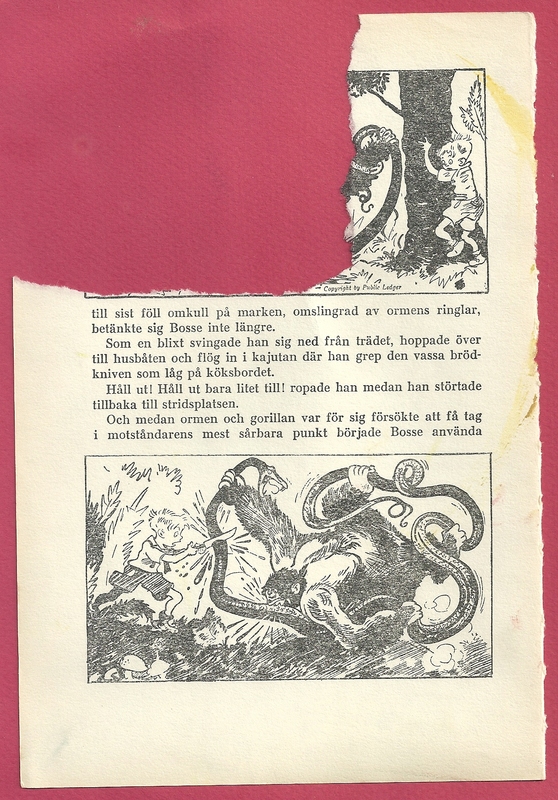 The work is approximately 5 X 7 inches and appears to be a decollage mounted on a litho or etching (remember I am not a visual artist). Is it a finished work? A studio scrap that escaped the waste basket? Intended for use in a collaborative work? Some variant of add-and-pass? 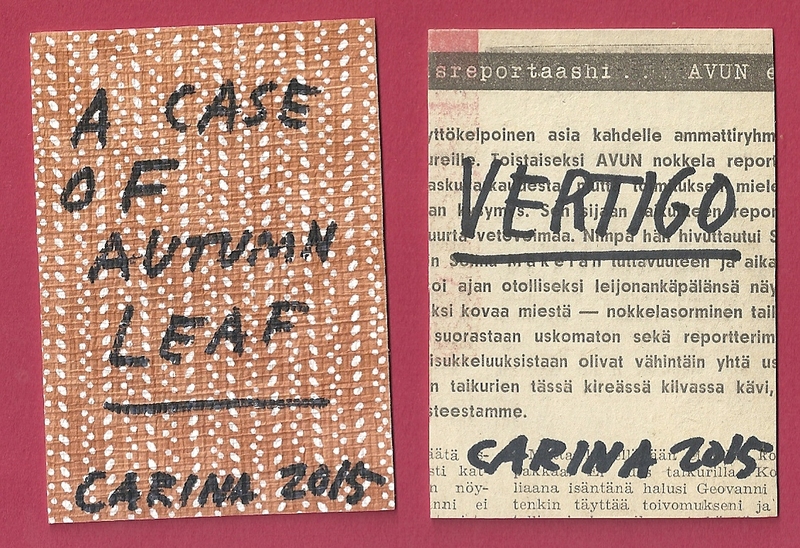 Many thanks to Carina Granlund! This is great. Thanks B.G. for the technique rundown--was trying to figure out how the effect underneath the collage in the top photo was possible. 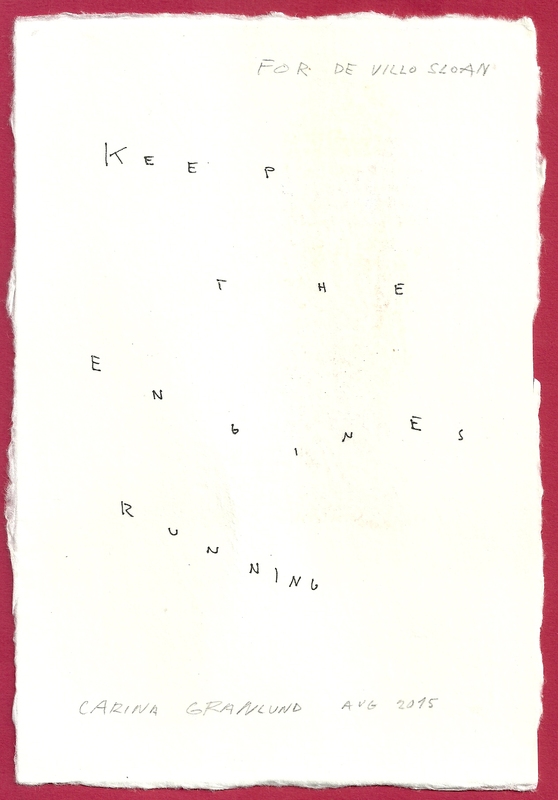 Carina's work is always humbly inspiring. Hats off! Lucky DeVillo! Thanks Richard, Theodore Moore, BG and, of course, Carina. The monoprint/collage has stolen the show (on my FB anyway) but we have really interesting commentary on the rest of the package: ATCs. 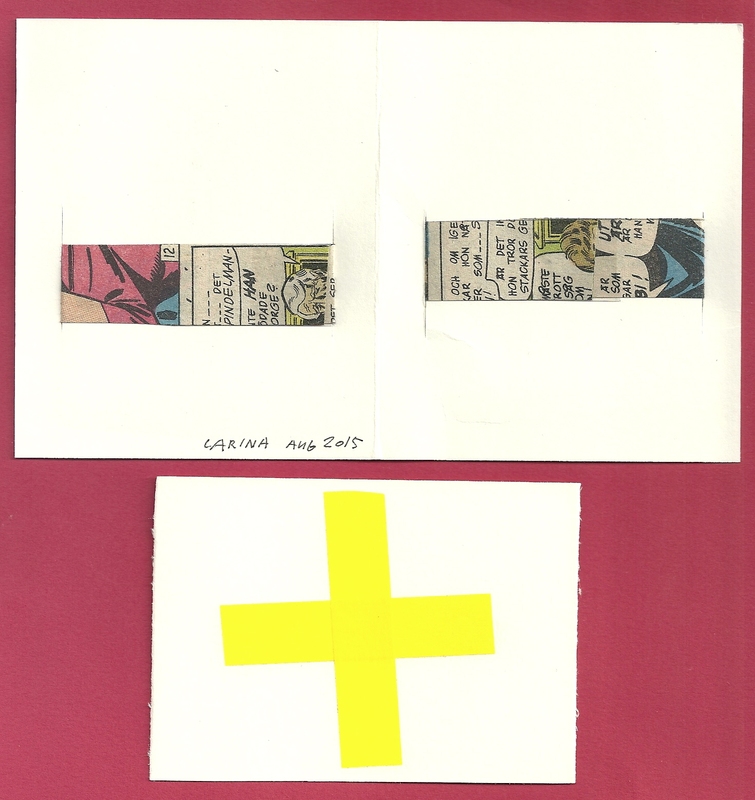 collage scraps, etc. Theodore Moore should be writing the blog commentary! Great insights. 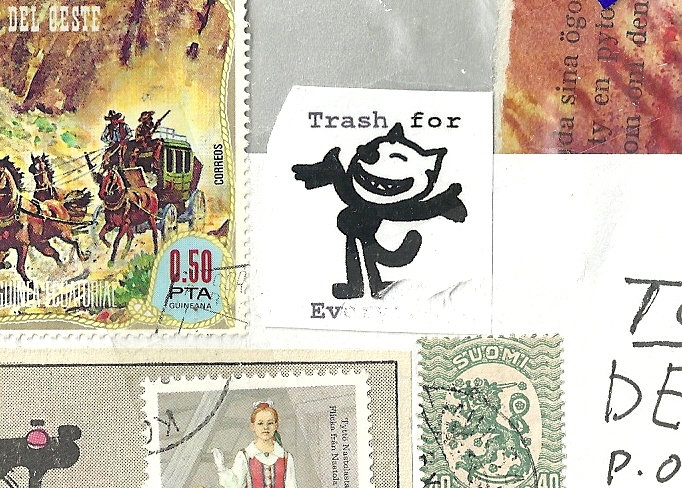 I do want to address the inclusion of scrap pieces, especially in Trashpo mailings. A bit of research indicates that our reigning Prince of Pop - Richard - might have invented that as well - at least the current incarnation of the practice. I am now searching for a piece of a cereal box that might have started the whole thing. 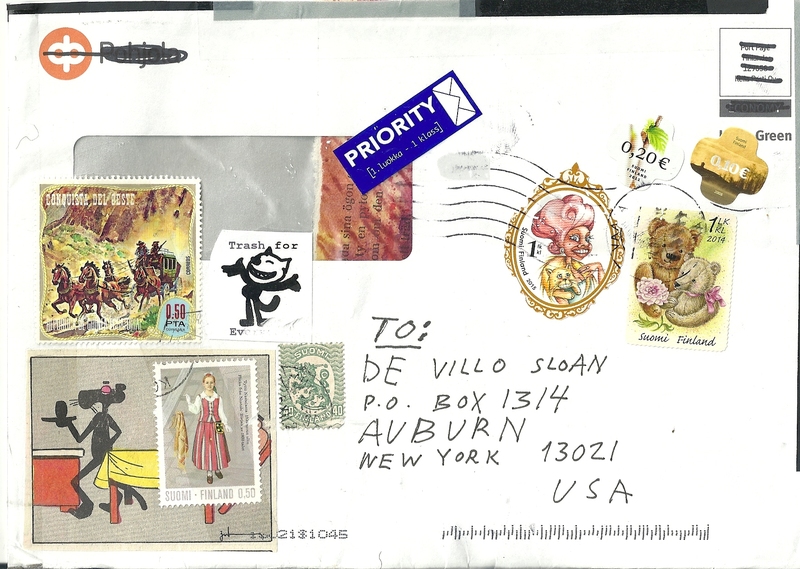 Thx again to our Careen-a for a truly FAB mailing. 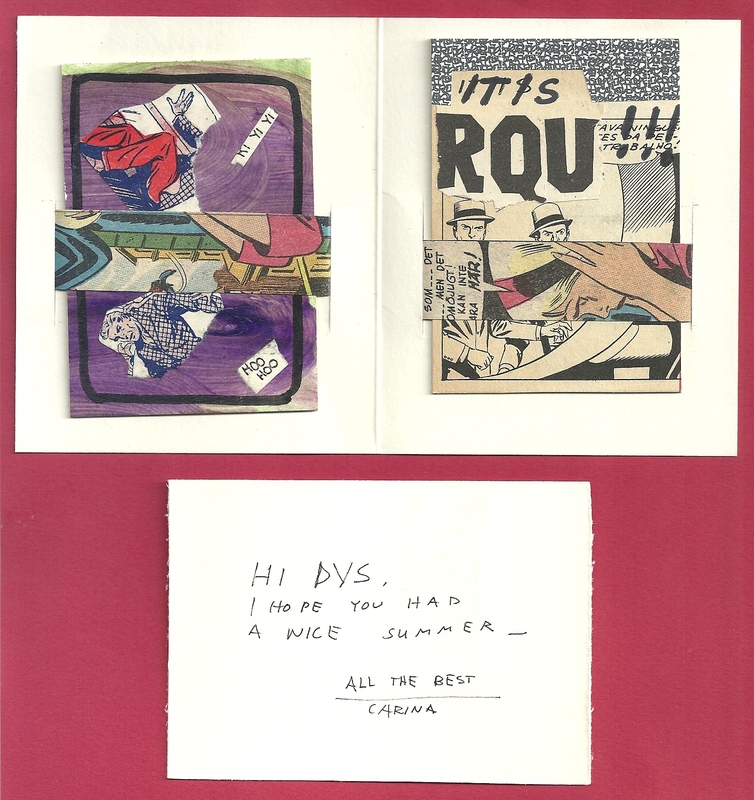 Thanks for the great blog, DVS. Good to see my scrap pieces made it to MinXus-LynXus III. 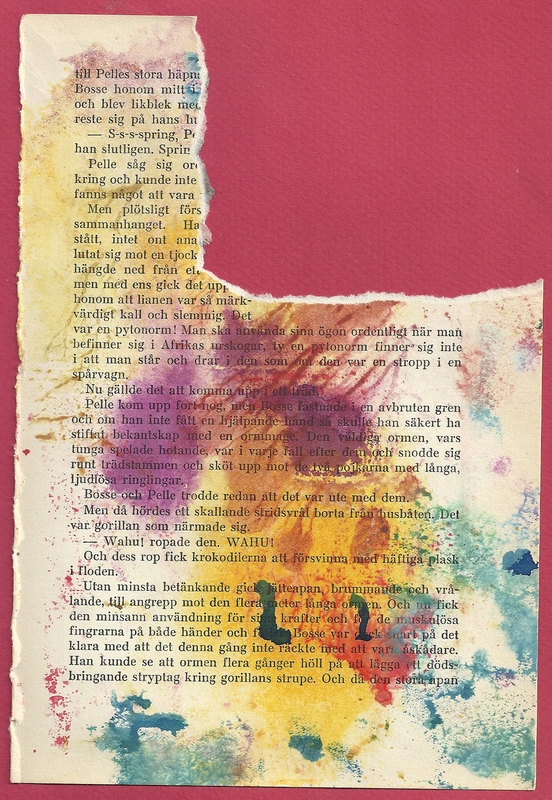 The altered book page + what you write make it all more interesting, and for a moment my mind is trying to reveal something new, but closes the next minute! 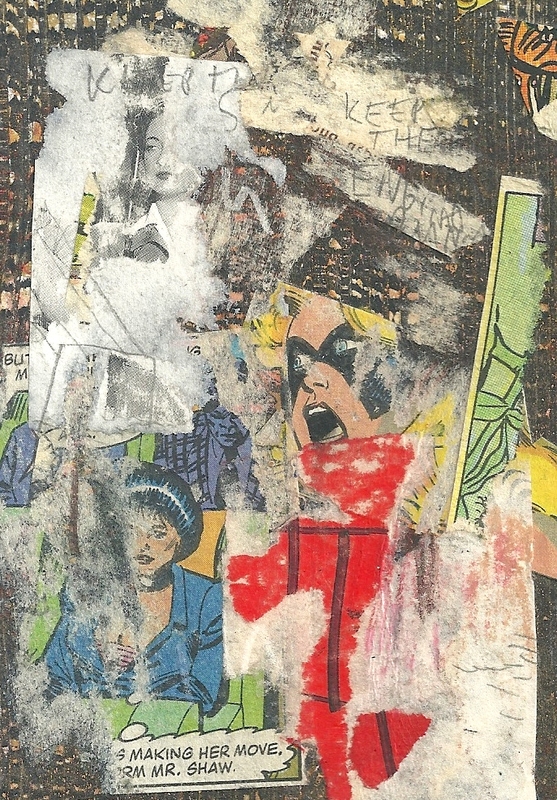 BG is right, it's a small monoprint mixed with collage. Thank you all for the encouragement! Stunning collages! Some of the textures are visible in the photos. 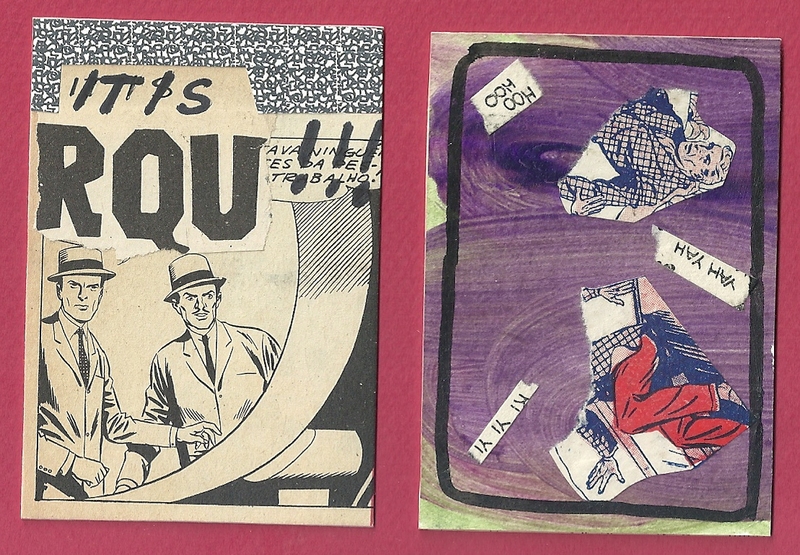 I especially like the interplay of fragmented limbs in the "Vertigo" card and the range of rough tears and soft paper textures in "Keep the Engines Running" in addition to the strong feminist use of pop comic images. 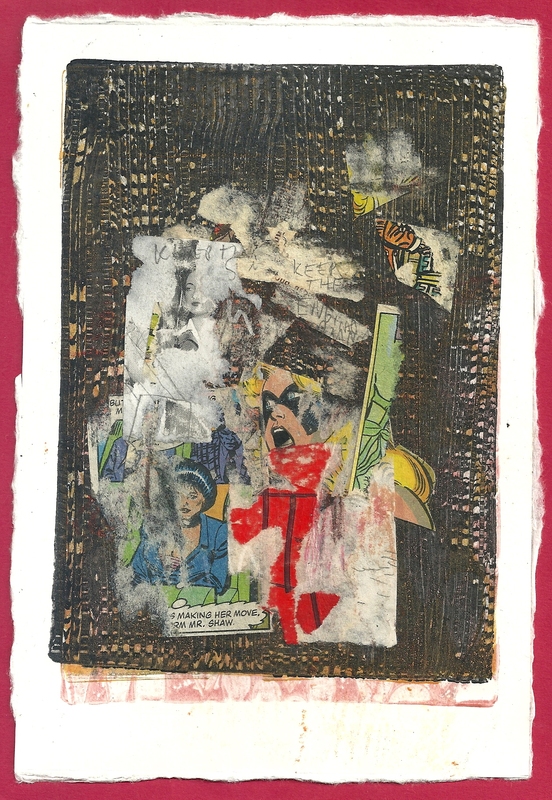 I believe the substrate of the collage is one of her monotypes that she has been doing lately. This involves using a metal or plexiglas plate and applying ink - then drawing into the ink before printing.